We specialize in helping individuals build their own home, barn or garage; faster and better while at the same time saving money. 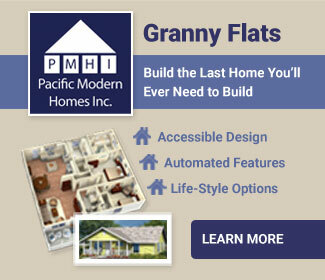 There are three parts to our building process;Pre-Engineered Plans, Panelized Building Kits, Owner-Builder Financing. As Designers and Builders we are with you from beginning to end so building your dream home is an exciting and enjoyable activity. Our logo with the chambered Nautilus, a living link with the ages, signifies our longing for ordered, well designed environments. The Nautilus expands its living space, always maintaining a natural beauty typified by balance, proportion, and function. Like the Nautilus, Habitats will help you attain the harmony you seek in any of your living environments. We offer a large selection of Pre-Engineered custom plans from which to choose. These plans appeal to a wide range of design styles and sizes. Since our plans are computer designed, this gives us the flexibility to change almost any design to meet your individual preferences. If you don’t see the plan you’re looking for, we can create a Panelized Building Home Kits for you from your ideas and desires. As UCLA Design Graduates, General Contractors, and 40+ years of experience helping customers with their living and business environments we offer unique insights into the building event. Our Panelized Building Home Kits. will help you build your new home faster, better and at the same time saving money. Our Panelized Building Kits include high qualify pre-framed and numbered walls sections and roof trusses. Then we provide a diagram that shows were these number sections are placed on the foundation and roof system. To further speed the construction process, we factory install the windows and wall sheathing. Our goal is to provide you with a building system that is of the highest quality and the fastest to build. When you are preparing to build a new home, one of your first steps in getting started is financing. Our sister company, Omega Mortgage Group, has one of the best owner builder financing programs available in today’s market. 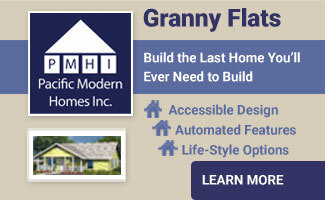 It allows you, the owner builder, the flexibility to do as much of the work in building your new home as you desire. You also have the option to choose a general contractor to assemble and finish your home package on your building site. Omega Mortgage Group owner builder financing program includes fast, pre-qualified construction financing on approved credit, including land, home, and permits, with long-term mortgages up to thirty years at competitive rates. The dream of building your new project comes together with our experience and assistance as your PMHI Licensed Dealer. Habitats Packaged Homes & Design will help you through the entire process of completing your building project; from choosing your plan and obtaining permits to financing options and finish material packages. We can also assist you with selecting subcontractors to complete the phases of construction you choose not to do on your own. We are committed to helping you throughout the entire process of your building project.